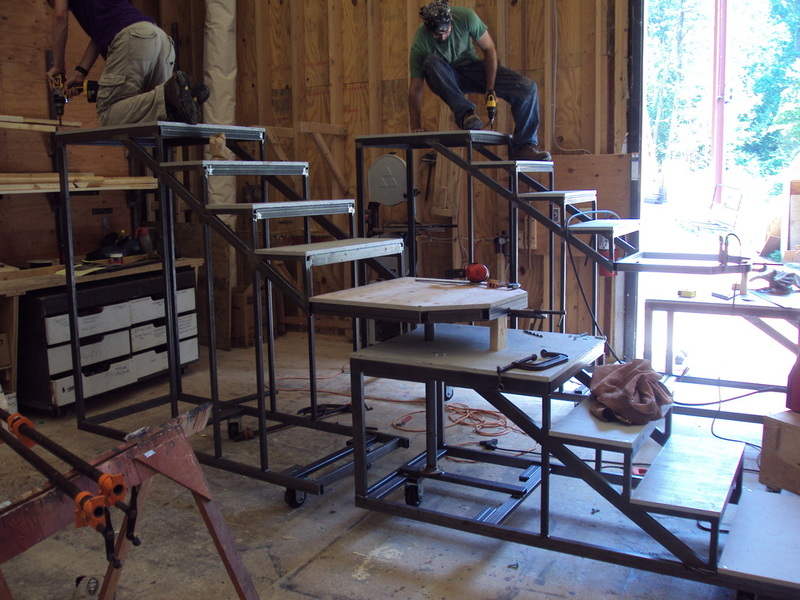 Two rotating stair units using box steel welded frames with wooden decks. The stair unit pivoted on two different points and was able to lock into multiple different configurations. 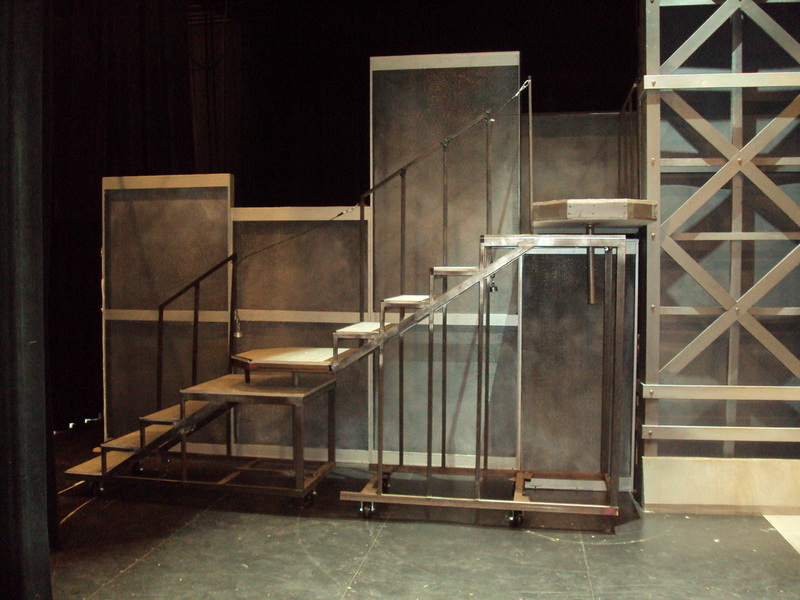 A wagon that was pushed up and down stage, hidden when upstage by a set of sliding doors.